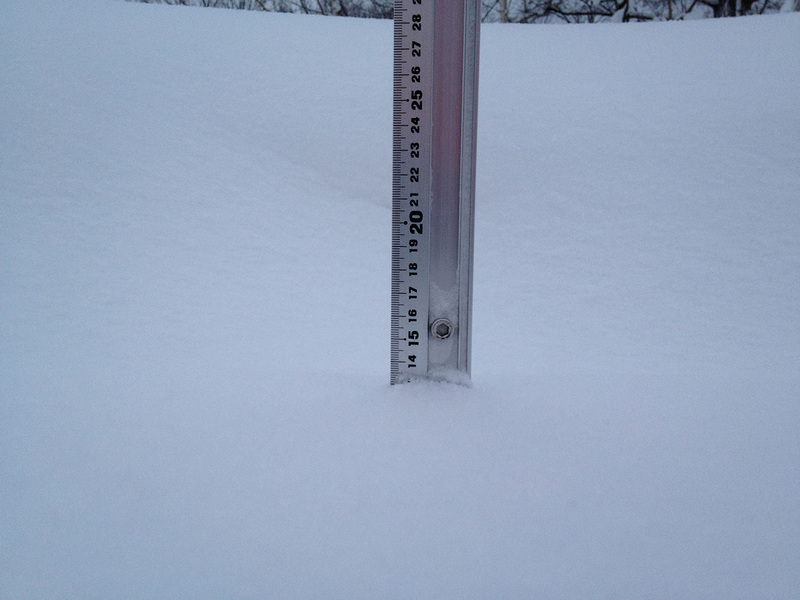 *13cm of fresh snow as fallen in the last 24hrs in Hirafu Village. At 7:10 today the temperature was -6°C. Surprise surprise…it’s snowing this morning. Yesterday was again reportedly “Blower” on the mountain with 30+cm of fresh powder but the snow eased off through out the day giving people the chance to do some much need snow clearing. It is the 13th day of January and the 13th straight day of snow fall! That’s right it hasn’t stopped snowing this year. 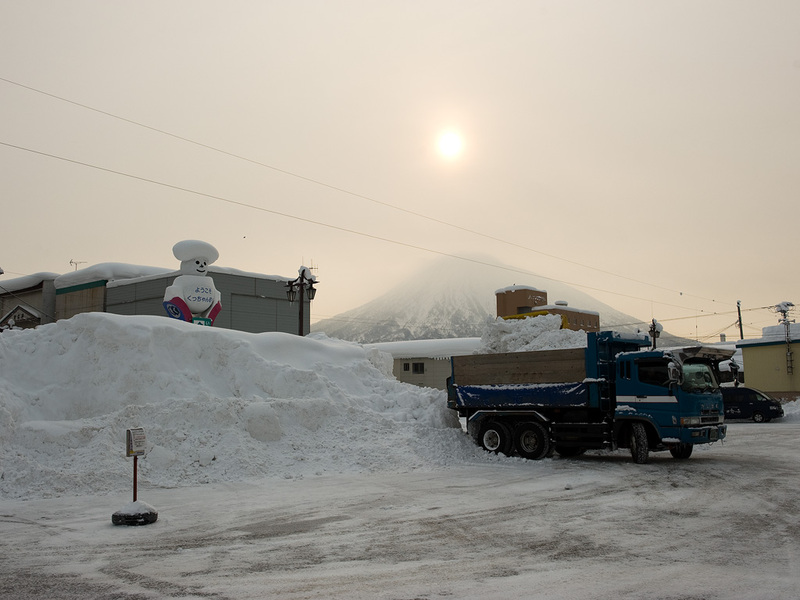 249cm of accumulative snow fall in 13 days and 811cm so far this season in lower Hirafu village… with a whole lot more falling higher up.